USC’s physical therapy program scored a little higher, with 10 percent of its students being African-American and 21 percent Latino. 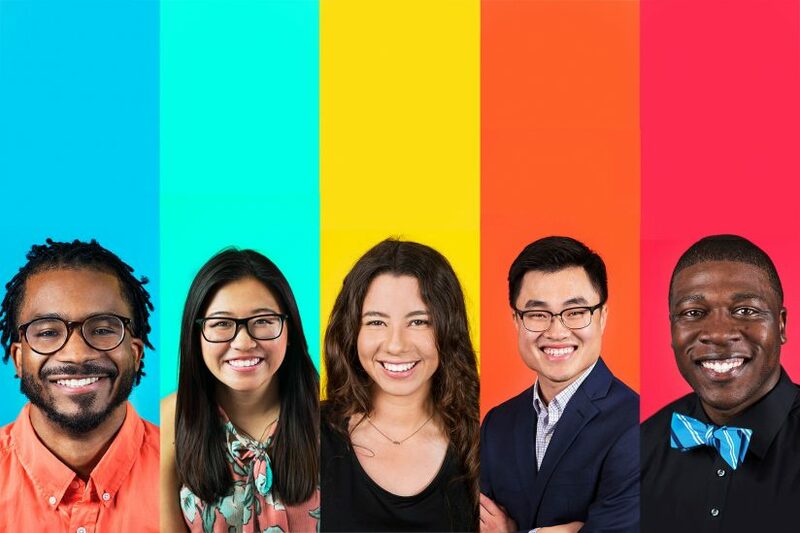 While USC fares better than national averages, in response to this inequity, a group of USC physical therapy students created the Physical Therapy Multicultural Leadership Alliance (PTMLA) in 2004. The goal of the student-led organization is to educate the local community about the physical therapy profession and promote diversity within the field, with an emphasis on minority and underserved communities. For Jessica Nguyen, the alliance’s current president, joining the organization was a natural progression from the volunteer work she was already doing in her Orange County neighborhood. To get the message out, alliance members venture into the community at least once a month, speaking at local elementary, middle and high schools, and setting up booths at college fairs, career days and various other events. What they’ve found is that many kids in these areas have never even heard of the profession. While recently attending the college and career fair Adelante Mujer Latina Conference in Pasadena, alliance scholarship recipient and upcoming President Jessica Goytizolo was happy to field questions from the young women in attendance. The alliance has set its target on local communities, but it also focuses on educating from within by hosting a speaker series that is open to anyone on campus. Physical therapists from minority backgrounds are brought in for talks and presentations to help students become more knowledgeable as clinicians. As an Asian woman, I might not understand different African-American populations or Hispanic populations, but through the speakers and the experiences we have in PTMLA, I’m able to get a better understanding. 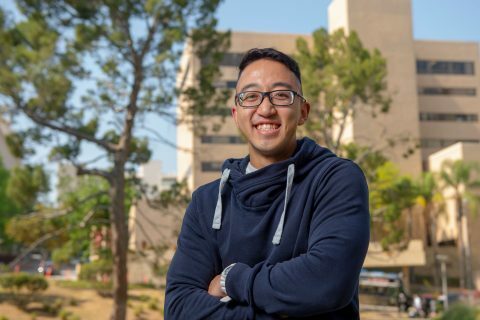 “As an Asian woman, I might not understand different African-American populations or Hispanic populations, but through the speakers and the experiences we have in PTMLA, I’m able to get a better understanding,” Nguyen said. There were approximately 75 members in the alliance this year, the largest number since the organization’s inception. Richardson said having a group like this at USC is important because it provides an opportunity for people to find common ground, to learn about cultures or ethnicities they aren’t familiar with and to debunk stereotypes. Within the physical therapy profession itself, diversity is key to pushing the field forward. Richardson said that bouncing ideas off of colleagues who come from differing backgrounds can lead to breakthroughs that may not have surfaced with someone from a similar ethnicity. Alliance Vice President David Tang said the rapidly changing demographics in the United States call for a physical therapy workforce that mirrors its patient population. Physical therapists who are able to interact with minorities create an environment in which patients feel comfortable seeking medical assistance, which could lead to better overall health for the community. “When you can deal with someone who looks like you and you believe they can understand where you’re coming from a little more than someone from another ethnicity, then sometimes I think that does contribute to better outcomes in a lot of ways,” Richardson said. In addition to focusing on USC’s surrounding communities, alliance members take part in annual trips to Mexico and Costa Rica, where they provide services to people who don’t have access to physical therapy. The trips serve as an extension of the group’s mission statement to help underserved populations. Even more than an opportunity for the students to practice their physical therapy skills, these trips teach them lessons that can’t be acquired in a classroom. Chris Floyd and Goytizolo, who is Peruvian, were recipients of the two annual $3,500 scholarships PTMLA awards to incoming first-year minority students who exemplify qualities of leadership, community involvement and academic excellence. “The biggest thing for me receiving the award was having more confidence going into the program, knowing my peers and the faculty appreciate the work I did prior to getting into the program,” Floyd said. 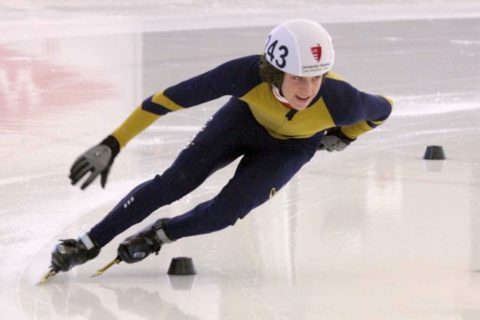 Leukemia and a rare side effect of chemotherapy didn’t stop Brandon Hsu. Instead, they inspired him. 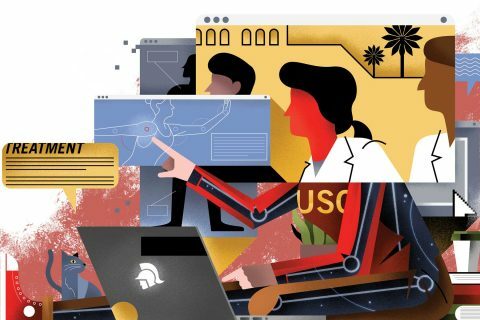 Online students in the new program DPT@USC will take the same courses as Trojans on campus — but in a different format. Trojan’s nonprofit gives coaches the knowledge needed to maximize performance — at no cost. 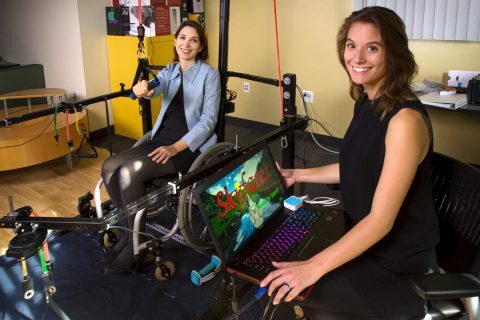 USC’s cinema and medical schools join forces in a new effort to make tedious exercises fun and improve day-to-day life for patients in wheelchairs.